Initial payment of £1,954 inc. VAT followed by 35 monthly payments of £79 inc. VAT. Based on 10,000* miles per annum. *Excess mileage charge. Finance subject to status. A guarantee may be required. Terms and conditions apply. Unless otherwise stated, metallic paint at extra cost. Library image for illustration purposes only. 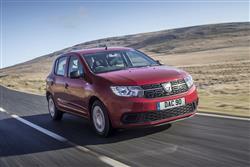 Dacia's Sandero sets out to completely change the way you think about budgeting for a compact family five-door car. It's half the cost of many similarly sized models and surprisingly class-competitive in many areas given the 'shockingly affordable' prices being asked, especially in this improved form. This car has been shaking up the market - and it's easy to see why. Here, we look at the base 1.0 SCe version. Ever thought, as we often do, that almost everything these days seems to cost rather more than it should? Take the purchase of a compact family car, the kind most people want, with room for up to five, a modern engine and a decent-sized 300-litre boot. Today, most of the mainstream makers have decreed that you'll pay from around £14,000 for such a thing. But one brand disagrees. Dacia. For less than half that kind of asking figure, this Renault-owned Romanian marque can bring you this car, the Sandero. We reviewed it at launch back in early 2013, but we're doing so again because the brand has significantly updated this model, dealing with its worst failings and building in quite a bit of extra equipment. Probably the biggest issue with the original Sandero was its entry-level petrol engine, a thirsty 1.2-litre unit dating back to the last century. A modern downsized 1.0-litre powerplant takes its place, introduced alongside a range of cabin upgrades supposed to make the interior feel less like an Armenian thrift store. First, a bit of a reality check. 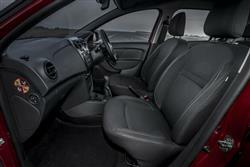 We could sit here all day making cutting comments about this Sandero's ride and handling package but d'you know what? We'll cut to the chase. It's perfectly adequate for the modest needs of its target market. It always was; it still is. The robust suspension set-up that suits this model's third world customers is perfectly adequate for ordinary A to B driving, though can lose its composure when confronted with serious tarmac imperfections. Push a little through the bends and you'll find that body roll is actually reasonably well controlled and you get decent levels of cornering traction too. We could do with a little more feel through the steering wheel, but the helm is at least light, offering a city-friendly 10.58m turning circle. Engine-wise, the main news with this revised model is the installation of a new entry-level petrol engine, the 'SCe 75' 1.0-litre three cylinder unit. This engine is fine if you're only going to be using your Sandero locally but it suffers from the fact that pulling power is around 10% down in the old 1.2-litre powerplant. As a result, you really have to stretch it to get the car going out on the open road and noise levels then become very noticeable. To understand the styling of this car, you also have to understand the way it's being sold. In most cases in the UK, Dacia models will sit in the corner of Renault showrooms. Important then, that designs from this Romanian brand are seen as a fundamentally different proposition from their pricier Renault counterparts. The recent Sandero style changes are most obvious at the front, where new double optic headlights borrowed from the brand's Duster SUV incorporate LED daytime running lights featuring a pattern of four stacked rectangles. These flank a re-styled grille featuring a honeycomb design and chromed bars flowing out from the central badge. And inside? Well this was an area of the car which saw buyers of the original model having to manage their expectations to a considerable degree. 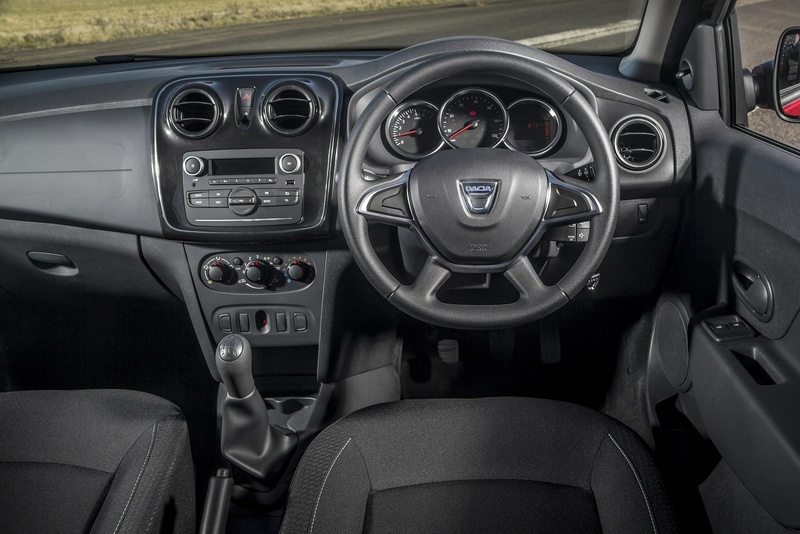 Dacia has responded to customer feedback by re-siting the electric window switches from the centre stack to a more familiar position on the doors. There's also now a 12v socket and the quality of upholstery fabrics - here, we've got 'Black Cerite' cloth - has been much improved. Rear seat accommodation in a Sandero is a considerable improvement on the relatively claustrophobic quarters served up by most modern superminis. As usual though on a compact car, expecting to take three adults on any sort of length journey back here is a bit ambitious. As for the boot, well in terms of total capacity, there's 320-litres on offer - compare that to the 292-litres of a Fiesta and the 300-litres of a Clio. 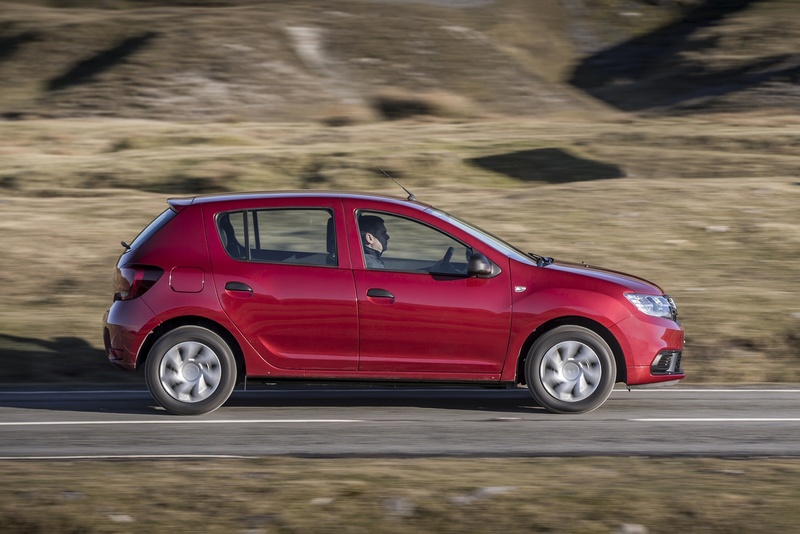 The Sandero remains the UK's most affordable car in its entry-level 1.0 SCe 'Access' form, where the amount required for ownership is just £6,000. Yes, you heard that right: way less than most tiny citycars will cost you. Previously though, we always thought that figure to be a touch misleading. 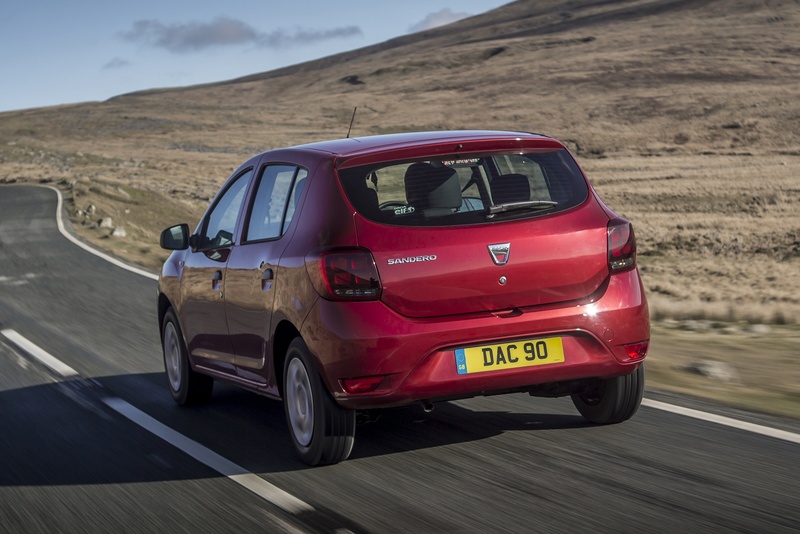 Understandably, to reach such a super-low asking price, Dacia had to take out almost every item of convenience equipment a customer could reasonably expect to find on a modern family car - 'Access' trim didn't even get you a radio! Plus you were stuck with the old-tech 1.2-litre petrol engine most buyers didn't want. In essence, this was a 'RyanAir'-style price-leading marketing exercise, there to get customers into the showroom where they'd subsequently end up buying a better-trimmed, more expensive variant. With a decent modern engine and air conditioning, a more realistic Sandero asking price was actually closer to £10,000. Still good value, but not quite the staggering price proposition the ads promised. As part of this model update though, Dacia has had a re-think and it's made quite a lot of difference. For most buyers, the real starting point for the Sandero line-up lies with mid-range 'Ambiance' trim. Well, go for that and you can now have yourself a version of this car with the properly efficient 1.0-litre SCe engine and a chilled air conditioned cabin for just £7,000. You won't have to wind up your own front windows, you can Bluetooth-sync your 'phone and you'll be listening to a DAB radio. Now that's real world value we can identify with. As we've said elsewhere in this review, the big news with this revised Sandero is its fresh entry-level three cylinder 1.0-litre 'SCe 75' engine. 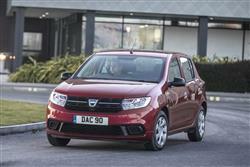 It doesn't feature a turbo - but then 1.0-litre units at this Dacia's price point are almost always normally aspirated. What's important is that it replaces the previous out-dated four cylinder 1.2-litre 75bhp powerplant, which really was getting past its sell-by date. 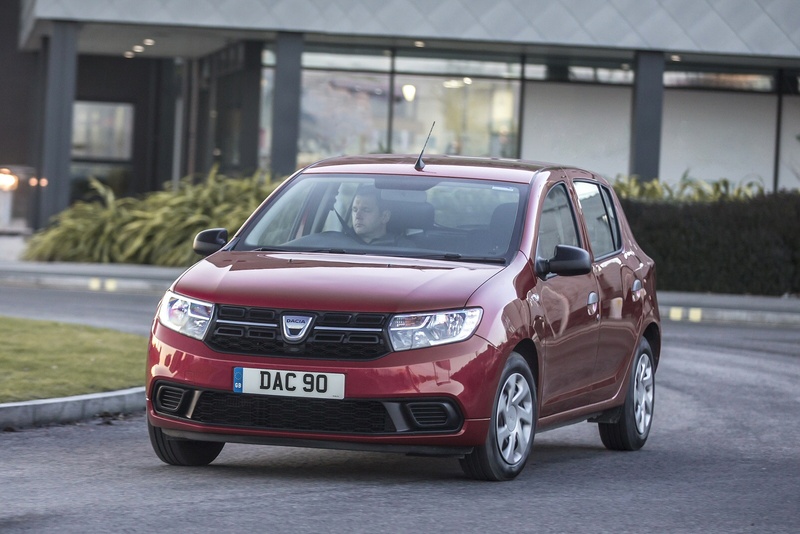 It simply wasn't acceptable for Dacia to continue selling a supermini model that couldn't crack the 50mpg barrier on the combined cycle and chugged out 135g/km of CO2. Interestingly though, Renault still continues to offer that old engine in its Clio - at a price that makes that supermini nearly twice as expensive as the larger, more efficient re-fettled Sandero... We'd hoped for quite a lot from the new 'SCe 75' unit, not only because it uses modern technology but also because it's a substantial 20kgs lighter than the previous powerplant, thanks in part to an all-aluminium block. As it is, the gains made are relatively modest, the efficiency stats improving to 54.3mpg on the combined cycle and 117g/km of CO2. Dacia could have got a lot closer to the prevailing supermini class standard if it had equipped this unit with an engine stop-and-start system, something limited to the pokier 0.9-litre TCe 90 turbo petrol powerplant that we'd suggest you try and stretch to if funds permit. That's why a 'TCe'-powered Sandero can manage better returns - 57.6mpg and 109g/km. If you�re looking for a new Dacia Sandero 1.0 SCe Access 5dr Petrol Hatchback for sale, you�ve come to the right place. 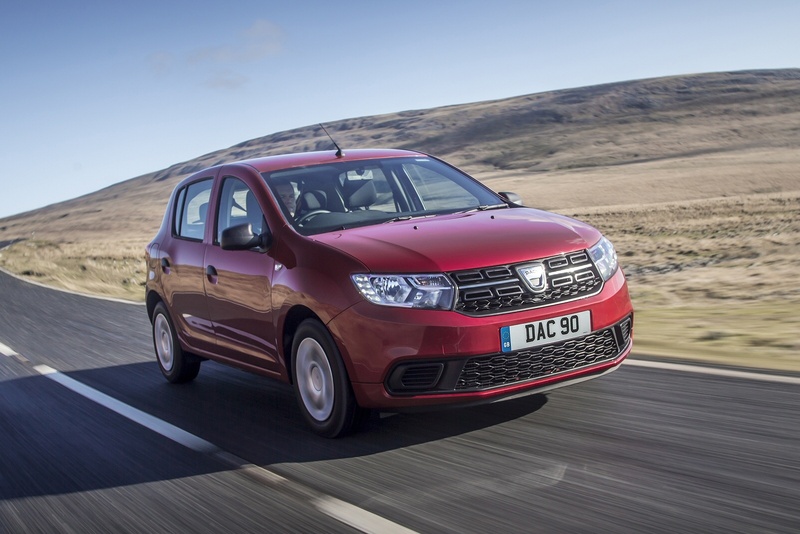 At Bristol Street Motors we don�t just have the best Dacia Sandero 1.0 SCe Access 5dr Petrol Hatchback deals, we also offer friendly advice and help with all your enquiries to ensure your buying experience is a happy experience.